Where does a business draw the line between excellent customer service and a bit too much generosity? For many restaurants, bars, retail businesses, entertainment venues, and others, setting boundaries around employee discounting and special offers remains a key issue in preventing employee theft. This is especially true when it comes to family and friends of employees themselves. 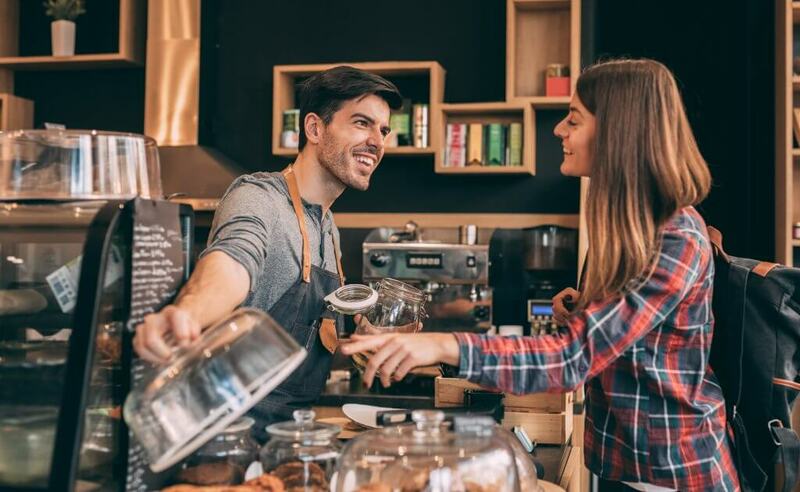 While many businesses gladly welcome friends and family of employees in as paying patrons, it takes a keen eye to spot “sweethearting.” This is when an employee only pretends to scan or fully charge family members or friends, only to actually offer that service or product for free or at an unusually generous discount. Fortunately, new technologies around POS surveillance and analytics are allowing more and more employers to take smart, proactive, and effective action to catch sweethearting when it does occur, and to catch it early enough to prevent it from eating into the bottom line. Is It Theft… Or Just Customer Service? One of the most difficult pieces of the puzzle in preventing sweethearting isn’t just catching those instances of inappropriate discounting. Rather, it’s distinguishing those instances from otherwise well-intentioned customer service. In many restaurants or bars, for instance, employees may actually be empowered to offer discounts, special offers, and complimentary offerings at specific times – like when a VIP enters the establishment, for instance, or when making it up to a customer for some previous error in their order or reservation. These discretionary discounts, made by employees when appropriate, can actually have a hugely beneficial effect toward your reputation among high-value customers. But that does not mean that all instances of discounting should just be allowed to go unchallenged – especially when they occur often, systematically, and under suspicious circumstances. Identifying clear patterns of inappropriate discounting – especially when awarded by an employee to their friends and family – are clear violations of smart financial practices. Catching these instances, as well as identifying these recurring patterns, however, has been notoriously tricky. Not only is an employer tasked with identifying these skewed transactions, but also with matching these transactions with individual employees and patrons. It may be one thing to be able to point to a particular transaction and identify it as irregular, but it’s quite another to accurately associate each transaction with the employee responsible. Add to that the wide variety of POS theft tactics used by employees and business owners could be dealing with one hard-to-stop problem, which eats into profits and operating expenses with each day it goes unchallenged. That’s where modern surveillance technology enters the fray, and the results – including its ability to detect, analyze, and alert operators of irregularities in the POS system that may point to sweethearting – could be a game changer for businesses looking to stop employee theft in its tracks. Key to preventing loss to your bottom line as a result of sweethearting is connecting the dots between “suspicious activity” and “pattern of events” – and a real-time, intelligent POS monitoring system can help to do just that. By actively monitoring every keystroke in your sale system, our POSConnect loss prevention technology helps fill in any otherwise-overlooked gaps in trust between an employer and their employees. Fully integrated with your POS system and featuring an advanced Behavioral Intelligence Engine, this surveillance system analyzes all transactions against statistical norms, and flags employers automatically of any deviations that might point to inappropriate discounting. By connecting and analyzing all transactions made by each of your employees, POSConnect is able to accurately identify which employees may be purposefully skimming form the POS system to benefit friends or family members. And because POSConnect integrates fully with your existing video surveillance system, business owners will be able to visually pair any irregular transactions flagged by the system with clear visual confirmation of which employees, customers, and POS terminals were involved in the transaction. Many instances of sweethearting can be easily obfuscated underneath existing problems tracking inventory. If a business notices that inventory levels of specific offerings do not match with recorded sales at the end of the week or month, for example, this may point to instances of sweethearting – or it may just reflect poor inventory tracking measures. With POSConnect, employers can easily connect each piece of inventory sold with a transaction, and confirm the transaction with existing video surveillance footage. This can help drastically reduce the likelihood of mixing up inventory confusion with potential POS fraud by employees. The easy-to-navigate interface of POSConnect also allows business owners to assess broad employee assessment data, allowing employers to quickly and accurately connect individual employees with patterns of suspicious actions, and can alert business owner to time periods, locations, or specific shifts where sweethearting is most likely to occur. If left unchecked, employee theft in the form of sweethearting can take a sizeable chunk out of your bottom line – and the longer you let it go unattended, the more damage employee theft will do to your profits in the long run. Not only does a comprehensive POS surveillance system like POSConnect help identify sweethearting before it can eat into your margin, but it also provides a record of proof for employers to take action to address employees associated with irregular transactions. With the busiest period in the retail industry just weeks away, it’s critical for businesses to put thought into stopping employee theft before it starts. If you’re interested in learning more, get in touch and see how you can turn your POS system’s blind spots into some of its most powerful theft prevention tools today.